And while all the big breweries that dominated the St. Louis scene are long gone, their spirit continues to live on as St. Louis’ craft brewery industry continues to thrive, especially within the last 6 years. Back in 2011, the grand-daddy of the St. Louis craft brewing scene, Schlafly got some company they could finally respect. That was the year two former Anheuser-Busch employees debuted their own craft brewery and tasting room, Urban Chestnut, in a small former garage along Washington Avenue in Midtown. Now 6 years later, it’s time to celebrate and release the beast! Imagine throwing yourself a birthday party in your own house, using all 70,000 feet of your available home and inviting 35 of your bestest friends and several thousand others just for fun. That is exactly what Urban Chestnut Brewing Company will be doing January 22. This isn’t just any birthday party my friends. 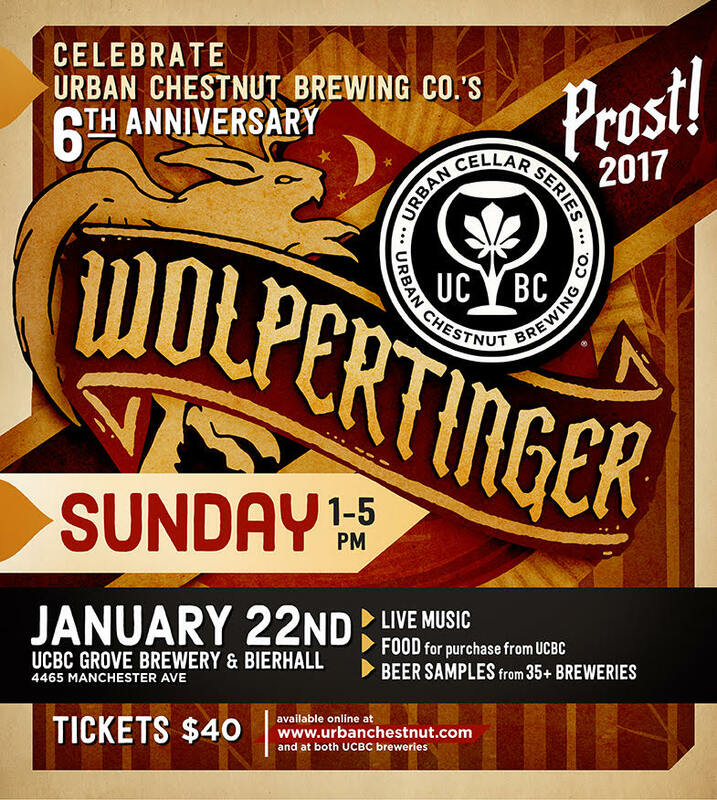 The annual Wolpertinger beer festival is really UCBC giving a loving hug to its hometown and comrades in the craft brewing community. It was a celebration of life, beer and creativity. On hand for the event will be 35 local and regional craft breweries, live music from Saint Boogie Brass Band, Larry Hallar, Alp Horns, and more, and some German & Non-German fare from UCBC. 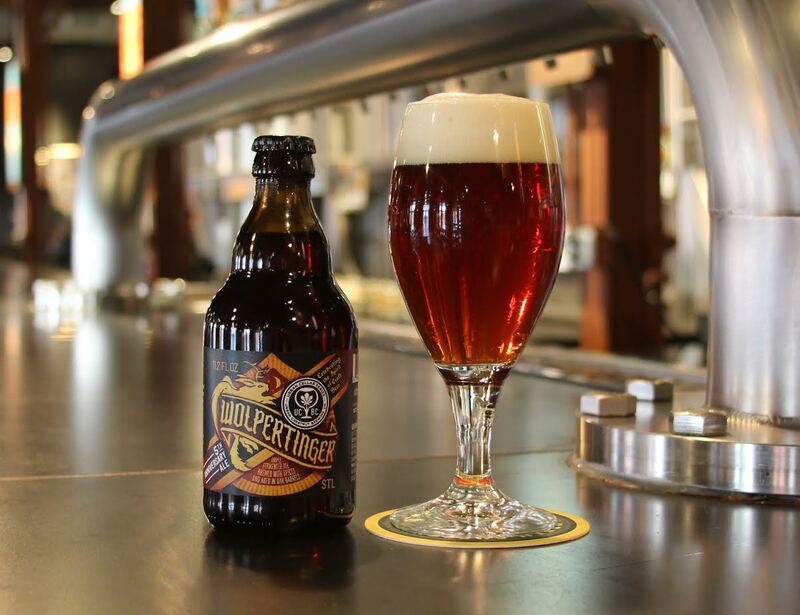 But the highlight of course is the release of this year’s version of Wolpertinger. The anniversary brew, Wolpertinger 2017 is being described as a bit different than in years past – darker, more robust, and slightly tart with the addition of raspberries. It’s also been aged for 2 years in Scotch whiskey barrels! One of the best traditions of Wolpertinger is the special brewing guest. In past years, UCBC has invited one of the nation’s’ best known names in craft brewing to the festival to show off their wares. Last year Deschutes Brewing company and their director of brewery operations, Karl Ockert, brought with him rare beers from the Deschutes cellars. This year’s special guest brewer will be Bell’s Brewery from Kalamazoo, MI. We’ll have more details about their beer line-up when they become available. For the unacquainted, the Wolpertinger is a mythical German creature, similar to the American Jackalope, rumored to live in the Bavarian Black Forest. Witness accounts usually describe this nocturnal creature as having the body of a rabbit accompanied by wings, fangs, and antlers. UCBC views this storied creature as a symbol for the Craft Beer Community in and around the St. Louis area. Just like the Wolpertinger, displaying distinctive traits from a variety of species, the breweries of St. Louis, who have their own distinctive niches and identities, come together on a rare afternoon in January to form one community of St. Louis brewers… And legend has it… that once you’ve enjoyed enough samples at the festival, you just might spot the actual beast! 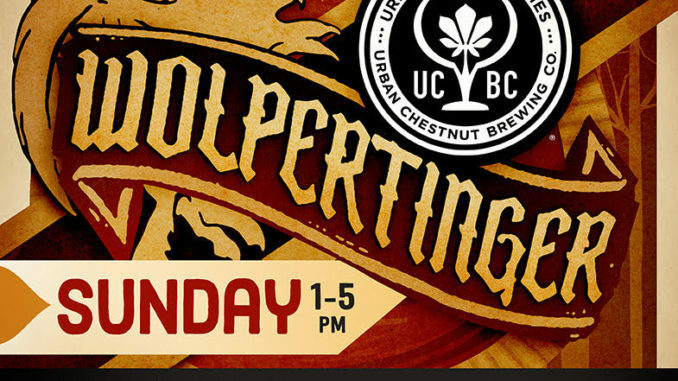 When: Sunday, January 22nd, 2017 from 1 p.m. – 5 p.m.
Tickets are $35 in advance/$40 day of and available for purchase at both UCBC locations and online at www.urbanchestnut.com/merch. A commemorative sampling glass is included with admission.